Blockade runner transports are the fastest type of industrial available. 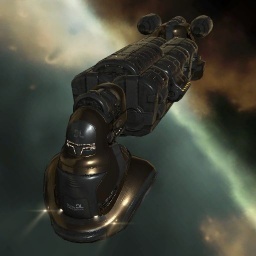 Utilizing sturdy but lightweight construction materials and sacrificing some cargo space, these haulers are able to reach speeds greater than those of a cruiser while withstanding heavy fire - factors which make them ideal for zipping through dangerous territories with valuable cargo. The Viator is the Gallente Blockade Runner. This class of ship can fit a covert ops cloak, allowing it to slip past gate camps and avoid unwanted attention. No sub-article about Viator roles or piloting tactics. You can write them here. You can write additional notes for Viator here. This page was last modified on 31 December 2016, at 18:44. This page has been accessed 106,294 times.